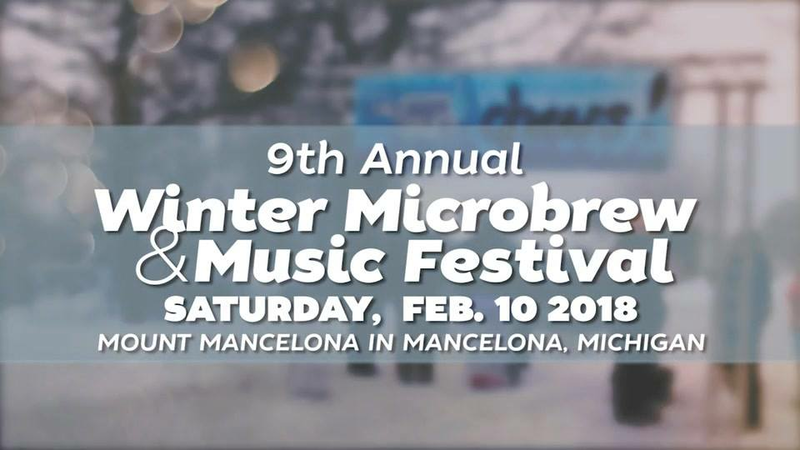 The 2018 Winter Microbrew & Music Festival is on the move! 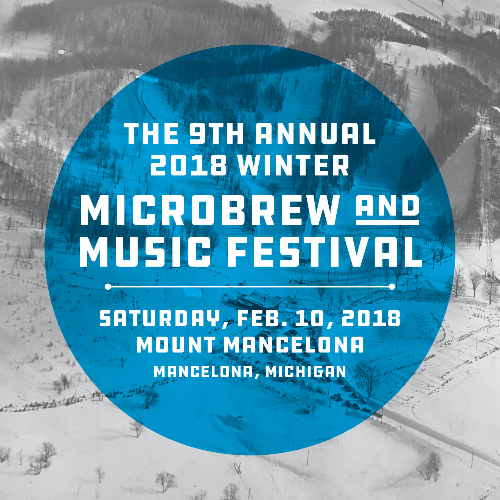 This year’s festivities will take place on February 10, 2018, at Mount Mancelona, an historic ski hill and lodge that sits just over a mile north of Mancelona, Michigan. This festival will offer fewer tickets and a more intimate atmosphere but will again feature the great music and tasty brews you’ve come to expect. GA Tickets include all festival experiences, custom tasting glass, and 5 1/2 pint drink tokens. B Super Fan Bus Tickets range from $10-$40 and are very limited! Please contact Sam to book a bus in a different location. finally stopping at a beverage store for your BYOB supplies. • 1:50 PM – Arrive at the main entrance. • 8:20 PM – Leave for TC with Silent Disco on Bus. 8 PM All done! Cheers and Massive Gratitude! 2 PM Doors and DJ Johnny Walker "Vinyl On The Bar” for all to DJ! 6:30 PM-8:15 DJ Dominate Top 40 Mash Up, Originals, Full On Dance Party! 3 PM - 6 PM - Mountain Top Tasting feature rare beers sponsored by Summit Sports Snowshoes. festival tickets! Leaves Mt Mancelona 8:30 PM with Silent Disco on way home! Beers featured at top of mountain and custom rare beer bar! Sam and Abby Porter, owners of Microbrew & Music Festival and Mount Mancelona, are looking forward to welcoming you to Mount Mancelona and are excited to provide a burst of energy to local and regional businesses and especially the community of Mancelona where they are dedicated to building in collaboration the youth empowerment to veterans non-profit programs and many B-Corp modeled for-profit startups developing to create jobs for the community. 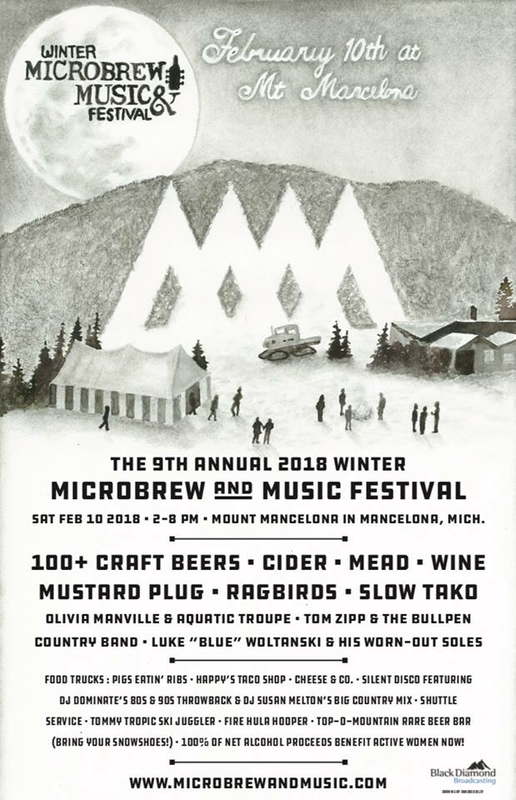 We are excited to share this 100+ Acre Mt Mancelona Festival and Event outdoor recreation four season venue and contact us to volunteer or apply your skills and passion to future jobs and startups. VIP Tickets include all festival experiences plus access to the historic Mount Mancelona lodge and live music, brew paired nibbles, and a craft beer and liquid bar experience in the lodge with brewers meet and greet. It also includes a custom tasting glass, 10 ½ pint drink tokens, private lodge, lodge restrooms, lodge atmosphere from pool table to wood-fired hot tub, and open lodge fire pit. Tickets can be purchased online at microbrewandmusic.com or mynorthtickets.com. Attendees are strongly encouraged to purchase tickets in advance, especially with the reduced number of tickets and the festival has sold out in past years. Ticket buyers and attendees must be 21 years of age, no exceptions. Mount Mancelona is located 45 minutes from Traverse City at 2497 Ski Run Road, Mancelona, Michigan. Complete festival details, ticket information, and announcements can be found online at microbrewandmusic.com and on Facebook at facebook.com/microbrewandmusic. 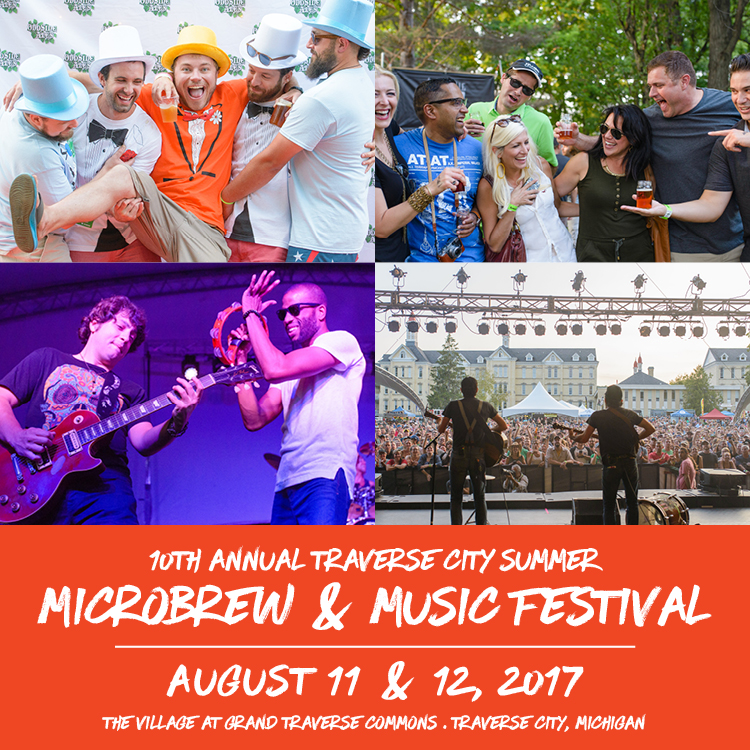 The Microbrew & Music Festival is presented with additional support from Michigan brewers and community volunteers. 100% of net alcohol proceeds benefit regional nonprofits. With over 100 N. Michigan festivals and events over 12 years we have worked hard and very dedicated to supporting local businesses and creating year-round events that promote and sustain local food, beer, wine, arts, merchants, businesses, and organizations.